Malinda Fisher’s favorite piece of jewelry that she’s ever made is also her very first metal work—a bold bracelet of hammered wire that wraps around her forearm. Fisher made the piece when she enrolled in a metal-smithing class in an effort to teach herself how to work with the raw material. “We had to create a simple wire project with silver,” says Fisher, “but I wanted to make something crazy with brass.” She learned the basics and set up shop in a cozy shed, and in 2010, Desert Rose Jewelry as we know it today—stocked with delicate and rustic pieces, all handmade from scratch with raw materials—was born. 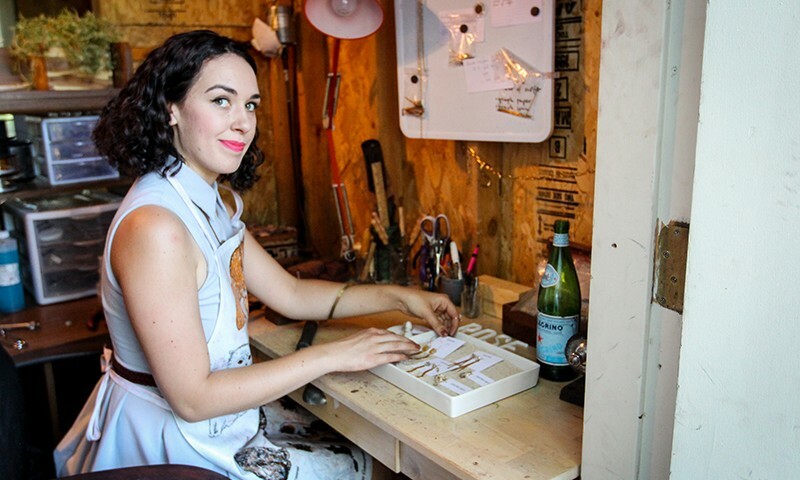 “Ever since I was little, I’ve been making jewelry,” says Fisher. “I even wrote a report in sixth grade—being a jeweler was one of my dream careers.” Her counselor implied that the only way to make something out of jewelry was in the wedding or diamond business. Luckily, that isn’t the case: Fisher’s work has made appearances at the Salty Streets Flea Market, Q Clothing, Abyss Body Piercing, Maeberry Vintage and, from 2011 on, Craft Lake City’s DIY Festival. The shop’s name embodies Fisher’s aesthetic. “I love the juxtaposition: raw yet refined, delicate yet rough,” says Fisher. She garners inspiration by taking the classic, bucolic spirit of the Southwest and adding a feminine twist, and she sources rocks through her travels or from the family-run Rockpick Legend Co. Fisher’s jewelry has made her an integral part of Salt Lake’s maker movement, too. “There’s nothing like it,” she says, crediting the crafter community for pushing her to stay relevant. This year at the DIY Festival, Fisher is bringing a new line that emphasizes rough rocks in gold and rose-gold prong settings—the pieces are subtler and quieter in their boldness. 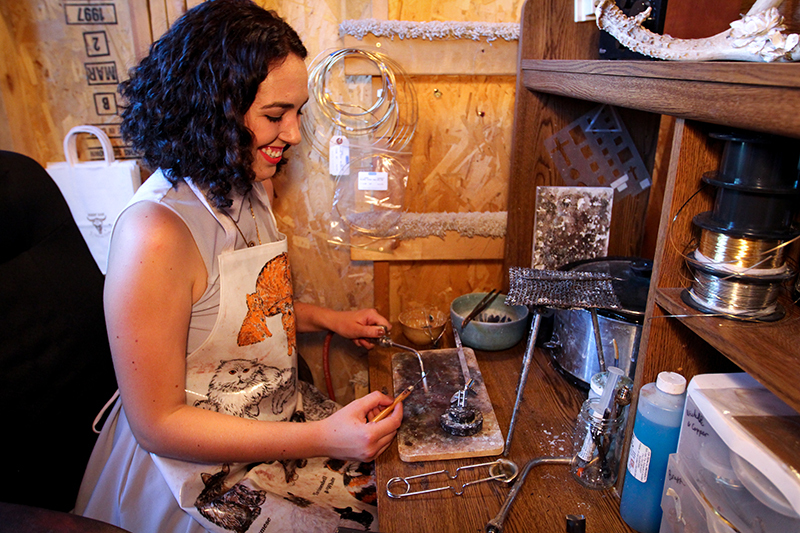 “Craft Lake is where I’ve met my favorite artists and customers face-to-face,” says Fisher. 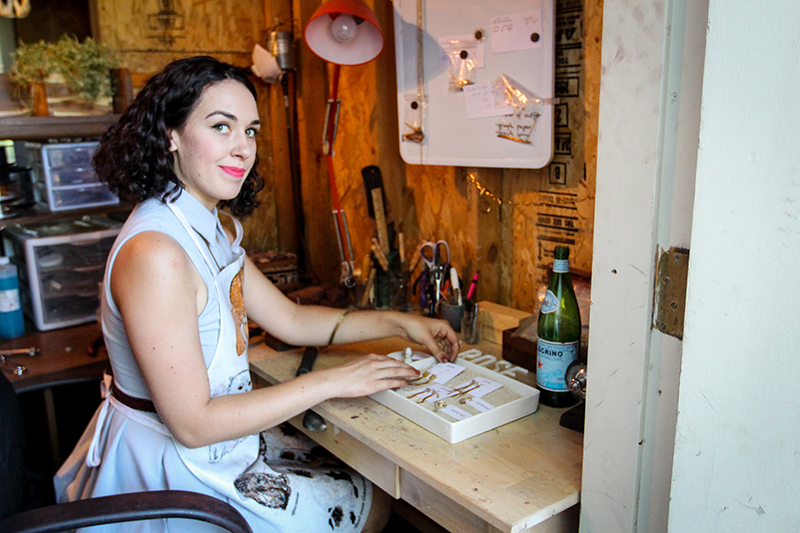 “It’s the best festival for makers because of how it’s organized, and the recognition that it brings—for you, your display, your work.” That recognition rings true—it’s brought Fisher’s jewelry career full circle to her sixth-grade report. 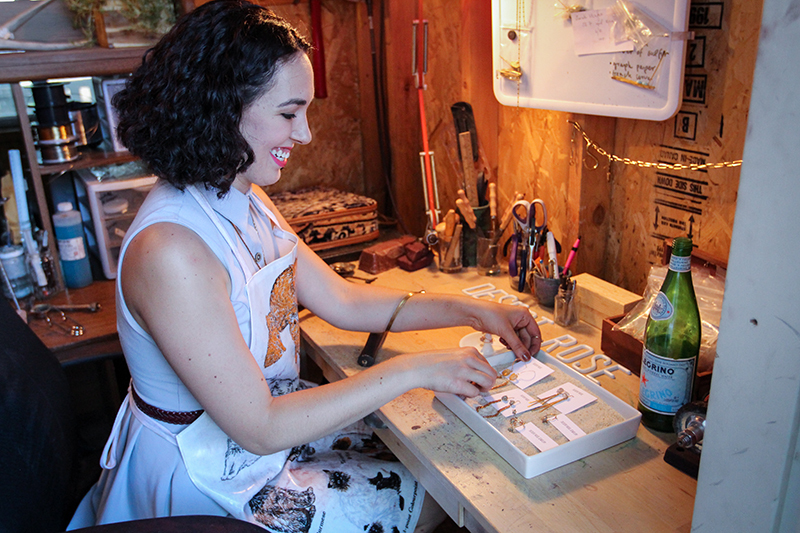 A customer, whom Fisher met two years ago at the DIY Fest, recently asked Fisher to design her wedding necklace. The finished piece features 20 iridescent opals strung asymmetrically to drape across the chest like a constellation.